Ever wondered what a drunken Michael Schumacher would do on the road? The most experienced of drivers can be wobbly on the track when their bodies are fuelled with alcohol. It is less about how practised or skilled one is at driving a motor vehicle, but the skewed nature of our sense organs make the most experienced of us behave like tweedledum&tweedledee on the city roads. The influence of alcohol can be felt after as little as one drink and gets from bad to worse with each sip. What makes the situation even more dangerous is the fact that the influence fades away only after the alcohol is completely broken down and metabolised by the liver – and this process is time consuming and to the drinker, may appear to be an exhausting experience. 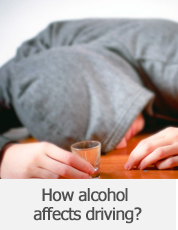 That is exactly why we advise to pace your drinks slowly, not binge on shots and indulge in moderation. Consuming alcohol isn’t as simple as chugging and buzzing – our bodies go through some serious changes at the intake of our first drink. Here are some things that happen to all of us on a dose of alcohol. The easiest explanation for how alcohol numbs the senses is the fact that many people wake up to neck pains after a drunken night at the club. Yes. We’re talking head-banging to rock. And No. It is not just that. Alcohol numbs the senses by impairing judgement. We think we are capable of performing an action; we wrongly estimate our motivation to do it and then end up causing damage to ourselves. Even when it comes to drunken driving, we sometimes over-speed, brake inappropriately or signal wrongly. The perils of drunken driving are not only limited to breaking the law, but may also cost someone their life. BAC (Blood Alcohol Content) is the main cause of wreckage. Alcohol is directly picked up by our blood and indicates the amount of alcohol that is running in our veins. At about 20 mg of alcohol/ 100 ml of blood leads to disorientation in visual functions. At 50 mg/100 ml, alcohol leads to difficulty in co-ordination, and slows down response time. Further up at 0.8 mg/ 100 ml, alcohol causes lack of concentration, and leads to inability to control speed. The most dangerous is at and above 0.10 mg/100 ml when the ability to brake is severely affected. 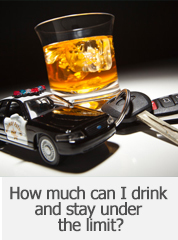 According to drunk driving laws in India, the BAC limit is set at 30 mg/ 100 ml of blood. The road safety bill (which is yet to be passed) allows a BAC reading of 20 mg/100 ml. A pint of 330 ml beer will spike the alcohol concentration to over 20 mg/100 ml, so always call a cab or crash at a friend’s when you’re out drinking! If you were to look deeper into celebrity culture, you would’ve found some amusing insights about how it percolates down to the very foundation of our lives. Actively or from under the surface, the media re-programs our brains to accept the most popular amongst us as more powerful, more superior, which in turn makes them appear ‘more important’ than the rest of us. When it comes to celebrity culture, superstars are not the same as actors, and pop stars don’t have to be just singers. At a time when talent is valued more for its recognition than for skill, harmful habits and inconsistencies in their life do not go unnoticed. Unfortunately, this may also encourage commoners to justify discrepant behaviour as long as it helps them associate or identify with the high life at a personal level. The rich and the famous live their lives in a certain way and there is, of course, some very serious aspiration attached to it. 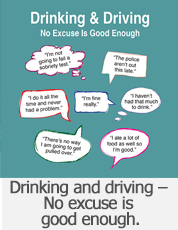 Driving under the influence is the commonest example of how we try to justify being unreasonable and unlawful. Here are some tragic incidences of celebrity deaths that involve drunk driving. In 1997 at the age of 36, Diana lost her life in what became the most unfortunate accident of the decade. Her chauffer driven sedan crashed into the Pont d’Alma tunnel in Paris. The driver was found to have more than three times the concentration of alcohol in his blood than what is permissible for driving. The saddest part about her sudden death is that it could have been easily avoided. At 38, the comedian was driving along a highway in Nevada for a performance when a truck crashed into his car. Sam sustained serious injuries and lost his life to a head-on collision in Needles, California. The truck was being driven by a teenager who was under the influence of alcohol. One of the greatest abstract expressionist painters of his time, Jackson lost his life in a single road accident at the age of forty four. He was driving in Springs, New York in the summer and was later found to having been drunk at the time of death. The celebrated journalist and author of Gone with the Wind was killed by a drunk driver on the street. Margaret had gone to the movies with her husband one summer evening and the car which hit her was being driven by a drunk driver. The real value of any celebrity is the life force that keeps them alive, which is of course, no different than ours. Detaching oneself from any kind of social influence is a powerful experience in itself. Driving under the influence is detrimental to the well-being of society at large, and should be actively fought against. The next time you’re out drinking, remember you also have the responsibility of working towards transforming your life and your surroundings for the better! After constant reminders from home about getting home safely after a late night, it may annoy you to see even your cell phone blinking and beeping every other time you reach out for a drink. With exponential rise in the number of accidents, injury and death that are associated with drunk driving, many software companies are trying to get you to act and feel safer. These apps are made to be extremely user friendly and the developers keep ridding them off bugs and worms regularly, so functionality and user-experience is at its best. We’ll take you through some iOS (and android) apps which promise to keep you away from the dangers of drunk driving. Once you get your hands on theses apps, we could bet you’d love to use these! Alcohol tracker app can be installed for free on an android smartphone, but Apple users have to spend a minimum of $1.99 to only install and use. The main feature of this app allows users to draw a rough estimate of the alcohol content in their blood (also called the BAC or Blood Alcohol Content) in real time. Users can set BAC ratings and the app will notify you as you reach the set limit. Alcodroid also has maps and locations of home and friends, which can come to be of use in difficult or emergency situations. If you’re reading this as End DUI, you’re probably right. This drinking and driving app doesn’t have the best looking interface, but the overall experience is quite enriching. (to the extent of being slightly addictive). The app is full of goodies and games – there’s one that measures the accuracy and speed of your response after drinking alcohol, giving an indication of how slow your reflexes might get on the road. The regular feature of having a log of consumed drinks, maps and location is always available to be used. An interesting feature of this app allows reporting drunk drivers from within the app. No, this is not a piece of advice, but is actually the name of an app that helps you figure out your options to get home after a night of heavy drinking. 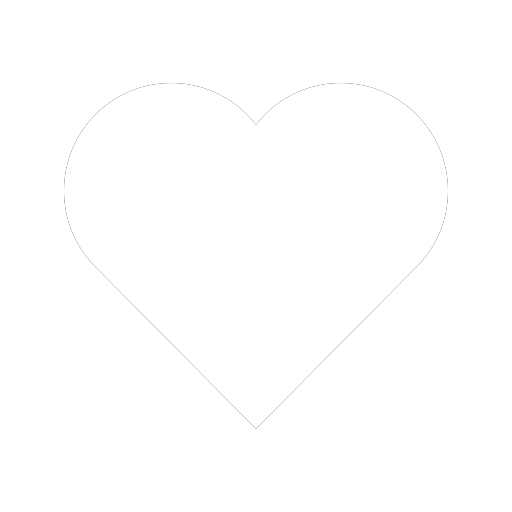 The aim of the app is to encourage you to have a plan. Users can feed names and numbers of friends and family members who can be contacted at the time of need. The app also has a list of nearby taxi services/ cars on hire which can be contacted at the tap of a button. Have A Plan is available for free on windows, android and iOS. All these apps try to give you the same message in different and fun ways – Drinking and Driving are two words that shouldn’t be written in the same line. 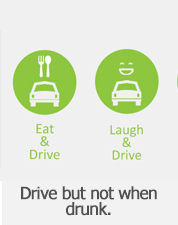 Download any of these apps to take an easy step towards safety on the road. Every time you drink, remember to find a way to get home without trouble.